A former Swiss banker who allegedly set up tax haven accounts to help Credit Suisse's wealthy hide their money turned himself in to U.S. authorities Tuesday and plans to plead guilty to criminal charges, court documents and his attorney said. The development raises pressure on the bank amid settlement talks with Justice Department over its alleged tax evasion activities. Josef Dorig is the second former Credit Suisse (CS) employee in the past two months to agree to plead guilty to criminal charges and to help the Justice Department in its investigation of Credit Suisse. Court documents filed in federal court in Alexandria, Va., showed that Dorig arrived in the U.S. on Tuesday and was arrested. He made a first appearance before a federal magistrate on Tuesday afternoon and was released on $150,000 bond. He is scheduled to appear in court Wednesday before a federal judge, who will review his guilty plea and agreement with federal prosecutors, according to William Cummings, Dorig's attorney. Credit Suisse is in talks with prosecutors about a years-long probe by the Justice Department, which accuses the bank of helping U.S. clients evade taxes with Swiss bank accounts. 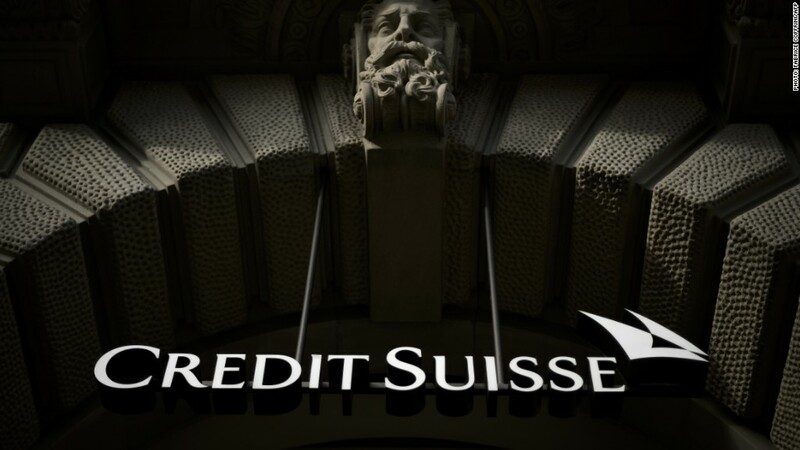 According to an investigative report last month by the Senate Permanent Subcommittee on Investigations, Credit Suisse held more than 22,000 accounts for U.S. customers, with assets valued at between $10 billion and $12 billion. Up to 95% of the accounts weren't reported for tax purposes to the IRS. Credit Suisse has acknowledged that misconduct previously occurred at the bank but claims a small group of Swiss-based private bankers had violated its policies, without the knowledge of executive management. Credit Suisse declined to comment on Tuesday. Prosecutors are hoping that the guilty pleas and cooperation from the ex-bankers will help in their efforts to prove that the tax evasion activities were part of Credit Suisse's business practices, not just the work of a few rogue bankers, according to people briefed on the government's case. Dorig is one of eight former Credit Suisse bankers charged in Alexandria with allegedly helping clients evade taxes by providing services at the Swiss bank. Another former Credit Suisse banker, Andreas Bachmann, pleaded guilty in the same case in March and is facing up to 46 months in prison when he is sentenced in August.